Although the Lions are lacking a veteran backup quarterback, they’ve given no consideration to signing free agent Colin Kaepernick, head coach Jim Caldwell said Wednesday (via Nate Atkins of MLive.com). Caldwell respects Kaepernick’s ability – “I don’t think that his skill level has diminished to the point where he would be completely ineffective in this league,” he said – but the Lions will go forward with Jake Rudock and Brad Kaaya behind Matthew Stafford. The Chargers’ first-round pick, wide receiver Mike Williams, could be falling behind early on account of a back injury that he suffered on the first day of rookie minicamp nearly two weeks ago. Williams, the seventh overall selection, hasn’t been able to take the field during OTAs, leading to some concern from head coach Anthony Lynn. “I’d like to see him out there next week because he’s getting behind right now, and we’ve got to get him back out on the field,” Lynn said (via Eric D. Williams of ESPN.com). “If he wasn’t a rookie it would be different. But he has so much to learn, and some of this you can only learn on the field.” Williams is the second first-rounder in a row to start off inauspiciously for the Chargers, whose top pick in 2016, Joey Bosa, didn’t debut until October on account of a contentious holdout and a hamstring injury. Of course, those initial roadblocks didn’t prevent Bosa from having an excellent rookie season. 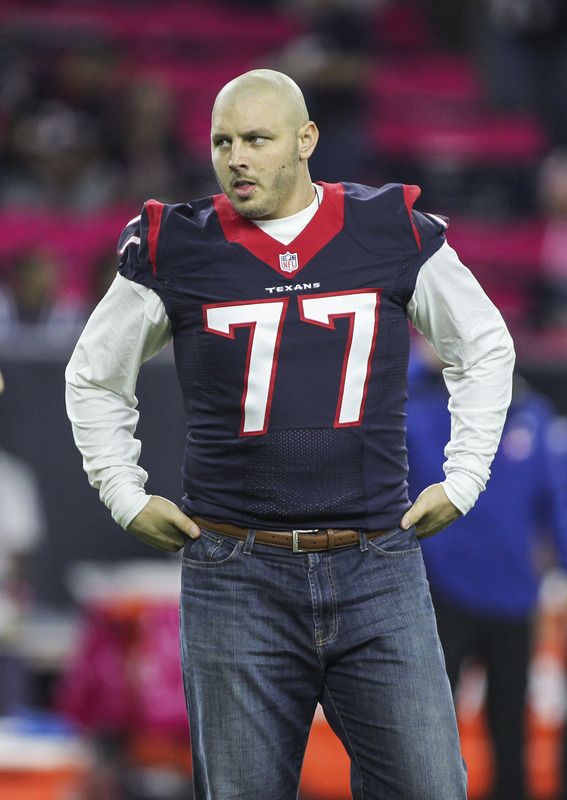 Texans offensive lineman David Quessenberry returned to the practice field Tuesday for the first time since being diagnosed with non-Hodgkin lymphoma in June 2014, per Adam Schefter of ESPN.com (via Twitter). The 2013 sixth-round pick was set to enter his second season before the diagnosis temporarily derailed his life and career. Fortunately, Quessenberry went into remission in 2015 and then wrapped up his chemotherapy treatment this past April. Like Quessenberry, Vikings quarterback Teddy Bridgewater took to the practice field for the first time in a while on Tuesday (a devastating knee injury had kept Bridgewater completely out of action since last August). The 24-year-old then ventured to Dallas on Wednesday for a medical checkup that yielded positive news, reports Ian Rapoport of NFL.com (via Edward Lewis of NFL.com). Bridgewater’s doctor told him that “he’s making progress in his rehab and lateral movement,” writes Lewis.